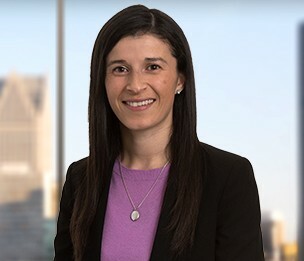 Carolina Rodriguez-Hatt is an associate in the Real Estate Department in Dykema's Detroit office. Represented lead lending institution in $33.7 million construction loan for historically sensitive development of 188-unit multi-family project located near Milwaukee, Wisconsin. Represented lead lending institution in multimillion dollar construction loan for the development of a multifamily project in Oak Creek, Wisconsin. Represented national retailer in the negotiation and drafting of leases for multiple locations throughout the United States. Represented national laundromat company in the negotiation and drafting of leases for multiple locations throughout the United States. Represented national lending institution in the sale of multiple foreclosed properties. Represented database marketing company in the sale of large complex to a local municipality and the subsequent purchase of two properties as part of a like kind exchange. Ms. Rodriguez-Hatt is a native Spanish speaker.